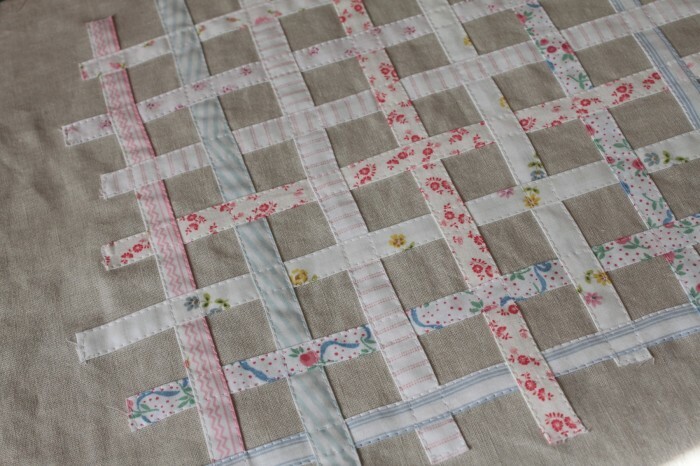 As I mentioned in the previous post, as of recently, I have developed a “thing” for vintage sheets. 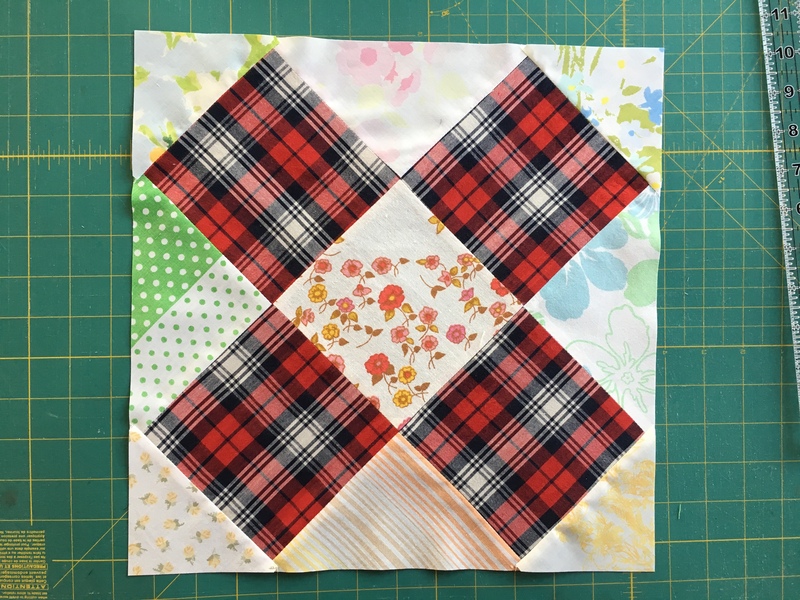 I like the colorful ones that I have seen around the blogosphere – those being used in quilts, aprons, skirts, little girl dresses… but I am also drawn to those with small flowers on white background. 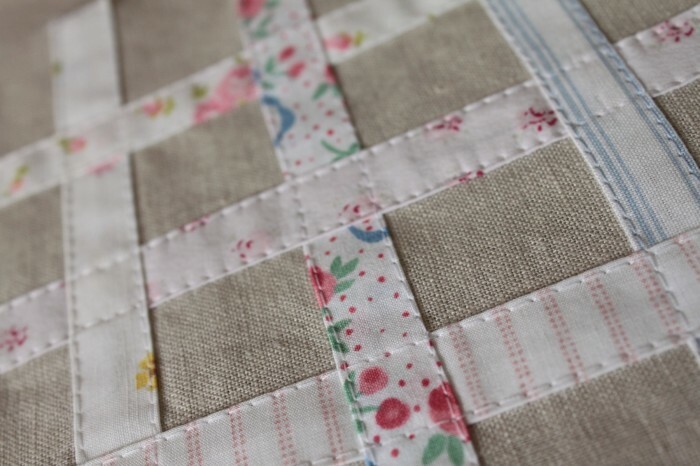 Especially tiny flowers… something that might be called “shabby chic”. 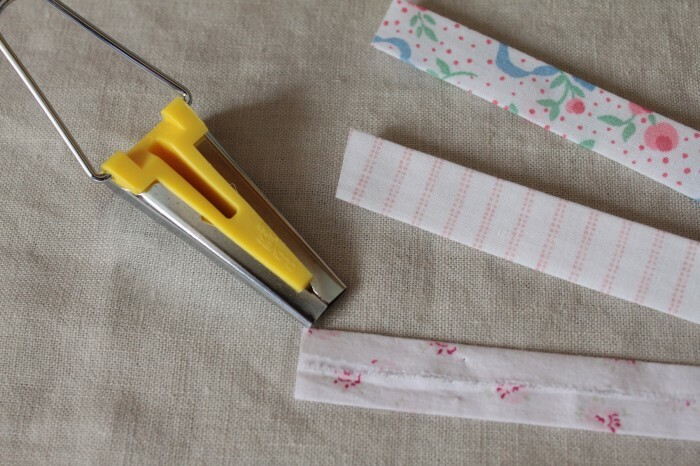 I also pulled out a tool I really like – the bias tape maker. I have three of those, and this is the smallest one – makes a tape 1/4 in wide (when finished). Opened, it measures 1/2 in. I made some tapes, but not bias this time. I did not use all the fabrics from the first picture… that’s what happens. I always tend to pull out more fabrics for a project, and then some get tossed out. In this case, a few were too bright, and some just did not fit in. Then I quilted the top – I quilted inside the little squares, between the stripes, and out from the stripes to the edges of the pillow top. 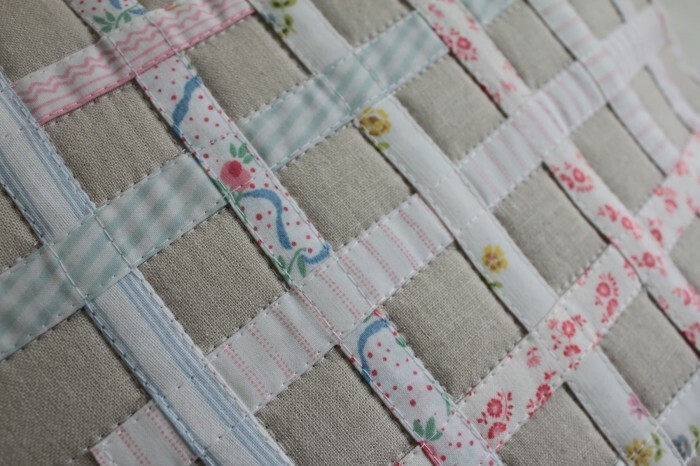 Buttons are covered with one of the fabrics used on the front. 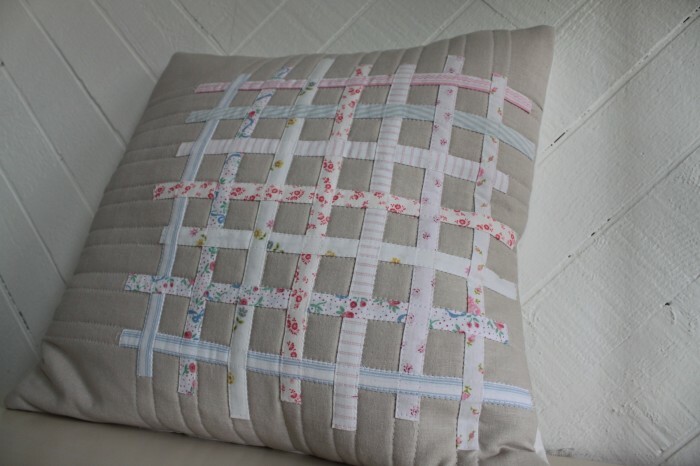 This entry was posted in fabrics, making, pillow, quilting, sewing and tagged Grid on February 24, 2011 by flekka. WOWEEEE! I love this! I want to make one, or two. OMG! What a great idea! That pillow is gorgeous! 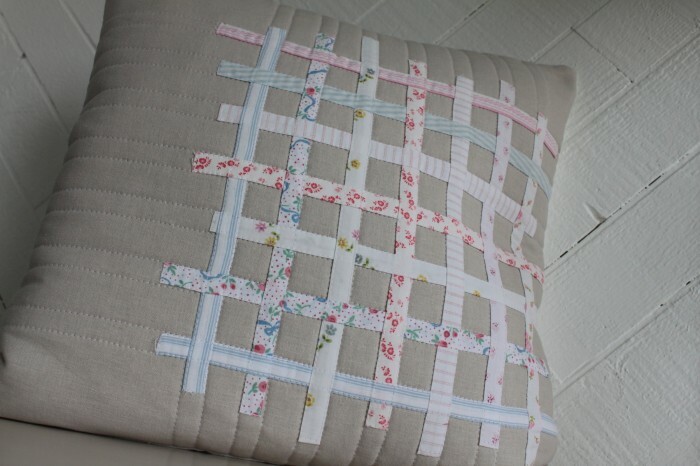 What a great idea making the strips that way, love your pillow! 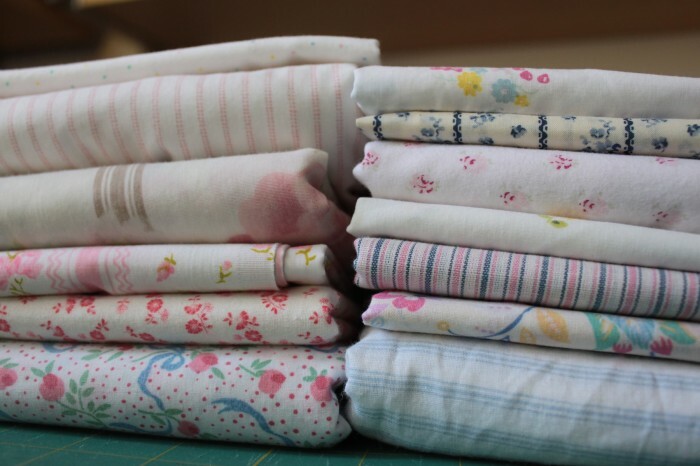 Vintage sheets…….I look at these and remember using some of them. love the desing and the clever use of fabric!